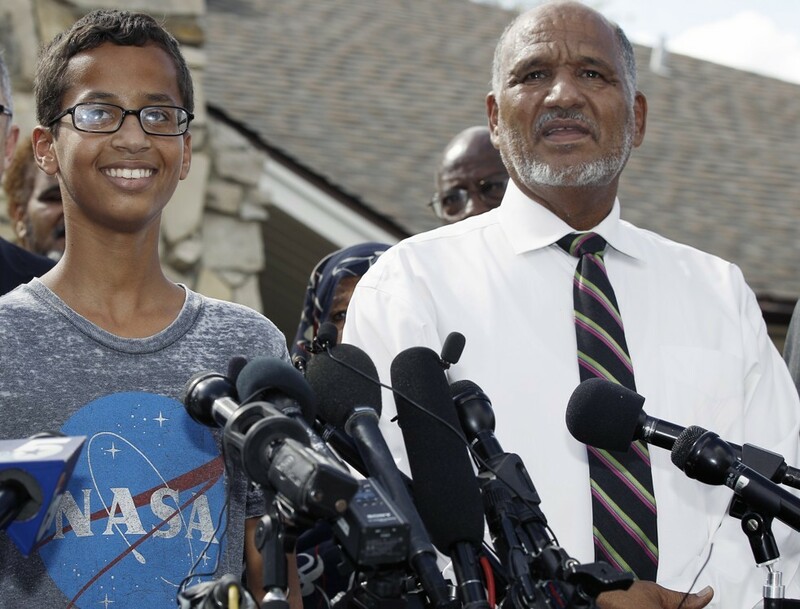 Ahmed Mohammed, more commonly known as “clock kid,” has dropped a major bombshell about his future that has some people rejoicing. The Blaze reported that Ahmed would be moving to Qatar after the country offered him a full scholarship to an elite university there. “Our family has been overwhelmed by the many offers of support we have received since the unfortunate incident of Ahmed’s arrest,” Ahmed’s family said in a statement. “From the White House to Sudan, to Mecca, we have been welcomed by a variety of individuals, businesses and educational institutions, which have all provided Ahmed with real encouragement and the ambition to continue to work hard,” they added. “After careful consideration of all the generous offers received, we would like to announce that we have accepted a kind offer from Qatar Foundation for Education, Science and Community Development for Ahmed to join the prestigious QF Young Innovators Program, which reflects the organization’s on-going dedication to empowering young people and fostering a culture of innovation and creativity,” the statement said. “This means that we, as a family, will relocate to Qatar where Ahmed will receive a full scholarship for his secondary and undergraduate education,” the statement concluded. The announcement came less than 24 hours after Ahmed met with President Barack Obama, who apparently will not be accompanying the family in their relocation, unfortunately. Oh … did they forget to mention that Qatar is suspected of funding terrorist organizations throughout the Middle East? Guess that wasn’t on the brochures.